Looking for a room to stay in Puerto Galera resort? Badladz Resort is definitely worth the adventure. It is one of the best and cheapest choices for hotel accommodation if you want to stay and enjoy the white beaches in the island. If you are seeking for an affordable and comfortable hangout paradise place for summer and events with your loved ones, family and friends why not stay here instead? In this Puerto Galera beach resort, you can enjoy and explore all activities and outdoor adventure like deep sea diving, island and beach hopping, you can also play golf on the top of the mountain as they have a nearby course for golf enthusiasts, you can go swimming in tamaraw falls, ride into a sunset of motorcycle, hiking and trekking and more. Staying in Badladz Resort gives you the extra amenity of accessibility to local tourist hotspots as they are just nearby. These can include the beautiful beaches in Sabang White Beach, or be amazed at the picturesque Tukuran and Tamaraw waterfalls. This place is definitely the perfect tropical venue for your events like birthday party, family reunion, wedding. 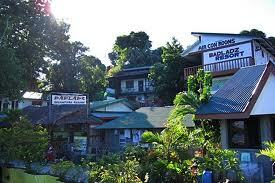 Below are some of the useful information that you can ponder on to know what's in store for your stay in any Puerto Galera beach resorts, Philippines like Badladz Resort. If you are coming from Manila by air, well and good because sooner or later, we will be featuring some promo and cheap flight details for all available commercial flights going to the island of white beaches. Airlines that we will be featuring might include, AirPhil Express, Cebu Pacific, Zest Air, Tiger Airways and other popular airlines catering to flights to and from Puerto Galera to Manila. Play golf on top of a mountain. If you want to come over to Badladz Resort, below is a waypoint guide for you whether you want to reach the place by air or sea or by your own car if you live in Puerto Galera nearby sitio.